The style of the buildings is unique with large rectangular and linear structures dotted aroun Read More.. 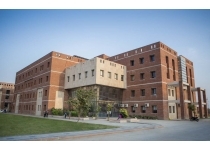 The style of the buildings is unique with large rectangular and linear structures dotted around the 32 acre campus with large courtyards. It has been designed keeping in mind the climatic conditions, still connecting the past with modern and contemporary design. The concept of the JU building and landscape is to create an environment with liveliness, as a playground for dreams and a place for inspiration to the students. The campus is built to bring experience of belongingness which truly represents the character of the University. This commitment reflects in everything that you see here – architecture and layout, landscaping, training and technology infrastructure and residential and recreational facilities. The design of the campus demarcating different zones –Residential, Public Buildings and the Academic blocks breaks the monotony with a transitional space and experience. 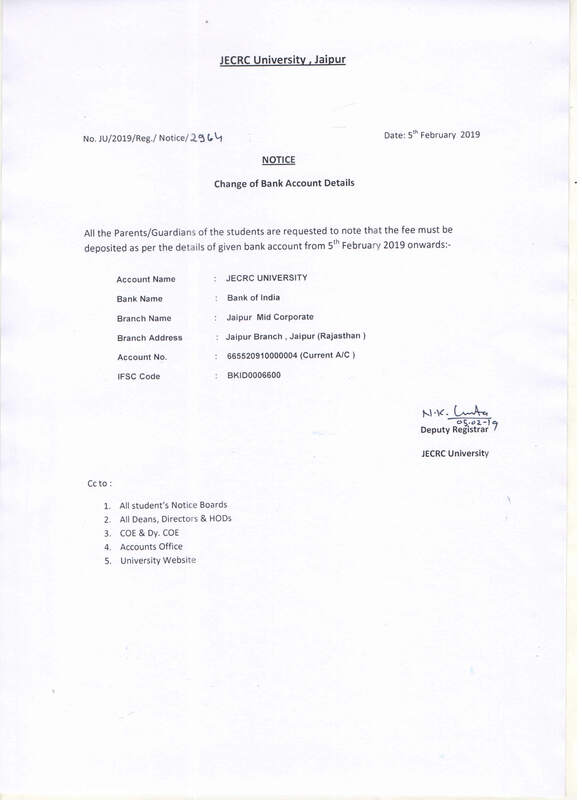 A striking highlight of the campus is the classical-style exposed brick-wall buildings with su Read More..
A striking highlight of the campus is the classical-style exposed brick-wall buildings with sun-lit and well ventilated interiors which divulge a monumental structure. The cavity wall exposed brick concept ensures that the building gives a temperature difference of almost 8 to 10 degree between the indoor and the outdoor temperature. Adding to the social aspect of green movement natural materials like traditional Kota and Jodhpur stones are used. Identity of the campus is its large courtyards between the buildings and the presence of more than 90 different species of plantation around the campus. This green, energy efficient and eco-friendly campus design goes beyond just the buildings. Beautiful landscaping, choice of shrubs and trees, water harvesting and recycling and waste management practices are in line with a Green Campus. JU is zero waste campus with the recycling of water used for irrigating the large courtyards. Rainwater harvesting will ensure that each drop of rain is conserved. The JU Central Library is the academic lifeline of the University. The library is open for twe Read More.. The JU Central Library is the academic lifeline of the University. The library is open for twelve hours a day and accommodates a large number of students in its reading and referencing halls. 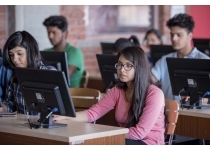 The University has gone ahead in making the concept of digital library functional with availability of digital content to enhance the first hand knowledge of the students. JECRC University has some of the best computer labs, with the latest computing facilities and Read More..
JECRC University has some of the best computer labs, with the latest computing facilities and high speed internet connectivity. The University has 15 computer labs with over 500 computers and 25 MBPS 1:1 network. Also the University is under the initiative of NMEICT to connect technical education institutes through National Knowledge Network (NKN) with a high speed internet facility. The University systems works with an ERP Technology backbone. The entire campus network is connected with latest technology enabled servers and CISCO network equipments. The campus is Wifi enabled. 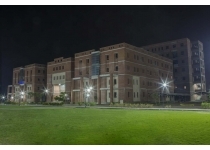 A Computational Simulation and Enabling Technology Lab is being established at JU. 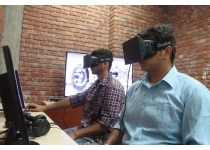 Under this Read More..
A Computational Simulation and Enabling Technology Lab is being established at JU. Under this collaborative initiative the lab will equip JU students with expertise in latest simulation techniques. The CSET Lab will enable students to develop high-fidelity, high-performance computing (HPC) numerical simulation tools in the fields of fluid dynamics and structure mechanics. A key tool in modern engineering, advanced computational simulation algorithms are used to solve problems in relevant fields. On-campus residential facility for students has been very thoughtfully designed and planned. Each unit in the JU Hostel Complex allows privacy and personal space to a student while giving a chance to dwell together and foster comradeship. An apartment style -three private, single occupancy rooms open into a common living room equipped with a television set, internet access and a pantry making it a complete independent unit. 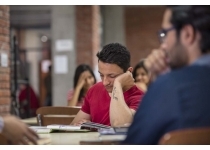 The hostels are air-conditioned/ Non air-conditioned, comfortable and conducive for the students to have a productive campus life, providing a perfect setting for academic pursuits. 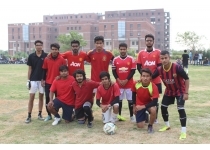 The University has provided for sports enthusiastic a well equipped Gymnasium, Food ball ground, Basket Ball court, Volley ball court, Badminton court and indoor facility for Table tennis and Shuttle court. 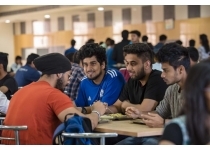 The double storied Students' Mess next to the hostel complex offers excellent multi-cuisine food to the campus residents. The centrally air-conditioned dining area is supported by Kitchen, Mess and cafeteria. The complex also envisages to house convenience stores to meet the daily needs of the residents. The residential facility is comfortable enough to ensure that students don’t feel that they are away from home. The campus is well connected to all parts of the city through public transport and has close proximity to other urban conveniences. 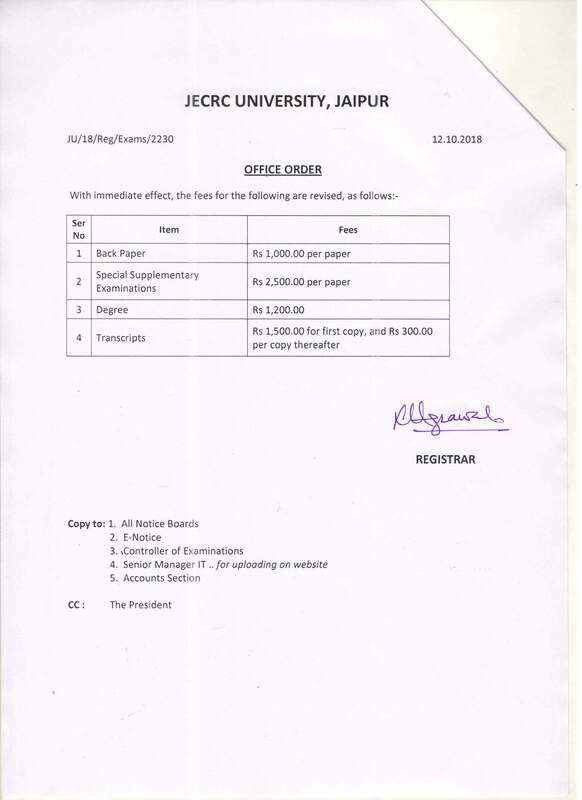 The double storied Students' M Read More.. The University has a first aid centre and has an arrangement with hospitals nearby. 24*7 JU am Read More.. The University has a first aid centre and has an arrangement with hospitals nearby. 24*7 JU ambulance is available to attend in case of emergency. The University has provided for sports enthusiasts a well equipped Gymnasium, Football ground, Read More..